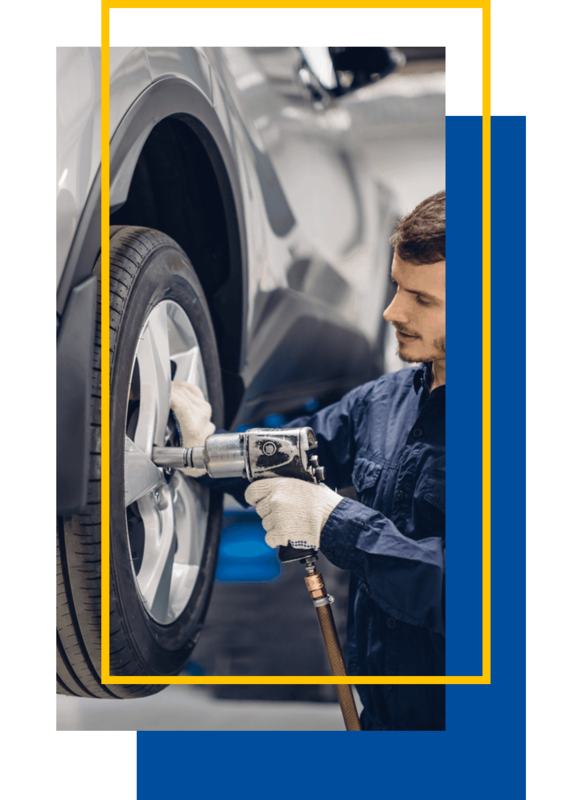 Centre De Pneus Et Mécanique Excellence, your West Island Garage, offers several mechanical services in the West Island area that are performed and verified by certified employees, to make sure your car is in top running order. We treat our clients the same way we want to be treated; with respect, sincerity, understanding and courtesy. We will do everything in our power to give you the best client experience by doing business with us. Whether it’s for your winter or summer tires, we are able to confirm appointments very quickly in order to make the tires change on your vehicle. We repair and service your vehicle according to the industry best practices. In addition, all our services are covered by guarantees. By doing business with us, you will have a quality service at an affordable price! Your vehicle deserves the best! That's why we equipped ourselves with the best technological equipment to carry out quality work, quickly and at a very competitive price. From mechanical inspection to repair and regular maintenance, we can support you during the complete life cycle of your vehicle. The mechanical condition of your vehicle plays an important role in your safety on the road. We care about keeping your vehicle in top condition so that you and your family are always safe on the road. Do you like saving money? Check our promotions! Understand the behaviors of your car with the expertise and advice of our team. Whatever your needs are, our team is there to take care of the maintenance of your vehicle. DOES YOUR VEHICLE NEEDS REPAIR OR MAINTENANCE? I highly recommend this garage. I received a courteous and professional service at a great price! It is now officially my official garage for the maintenance of my 2 vehicles. People are always available to listen to their customers. I managed to have an appointment very quickly for an urgent problem with my car. The work has been well done and has a very affordable price.